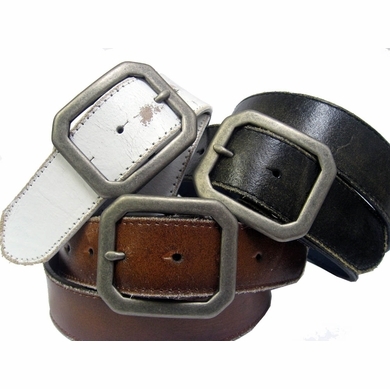 Vintage style belt in distressed leather with a heave solid brass buckle finished in antique nickel plating. Made with snaps for interchangeable buckles: Just snap off and snap on. 1 1/2" wide.